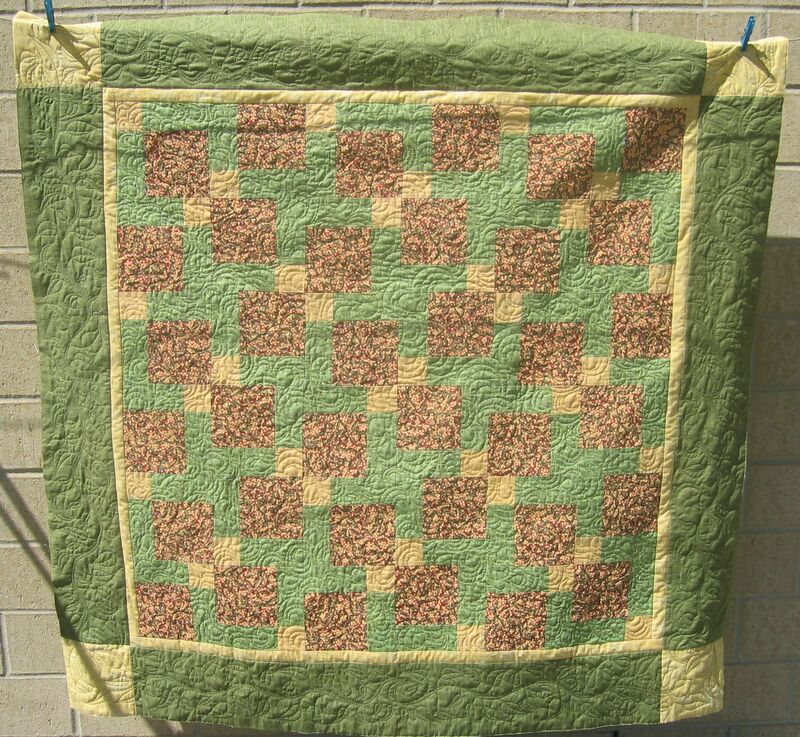 Another Disappearing 9-patch quilt, this time in yellow and green, with patches of a red wattle fabric — I’ll call it an Aussie quilt! Green and gold are Australia’s national sporting colours, and the green and gold wattle is our national flower. I used my favourite quick and easy ‘open headband‘ motif all over the main top of this quilt in a variegated yellow, purple, and green thread. 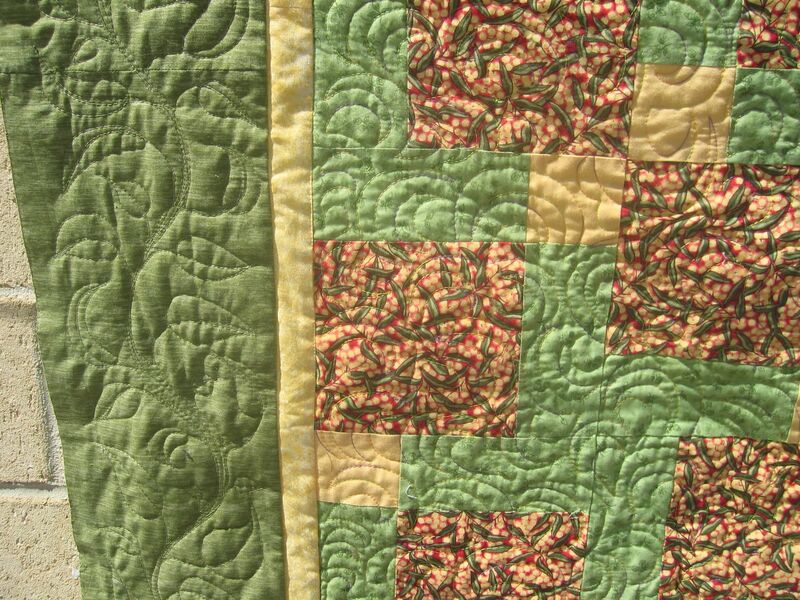 And for the borders I also used a variegated green thread to stitch the meandering leaves and stems. Each stem starts at the centre of the border and extends to the yellow corner block, where it meets the leaves from the opposing side. The “open headband” works so well with this and the border is so lovely! The greens are my fave!! !